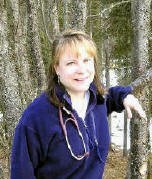 Dr. Kristen Lee grew up in Eagle River, Alaska. She attended the University of Washington School of Medicine, then completed Family Medicine Residency in Spartanburg, South Carolina. As a medical student she spent 6 months in Soldotna, Alaska as a WRITE student with Dr. Katy Sheridan and Dr. Kristin Mitchell. She practiced in Wasilla, Alaska for 2 years prir to moving back to Alaska’s Kenai Peninsula. In her free time she enjoys knitting, sewing, hiking and biking. 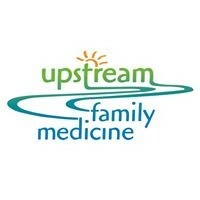 Upstream Family Medicine is an innovative clinic that strives to create a medical home for your entire family. We enjoy taking care of the individual needs of our patients from birth through the end of life. At Upstream, you will be a partner in guiding your family’s healthcare to fit your unique needs. Every member of the family will receive the highest quality of care. Our patients benefit from the continued care of their primary doctor even when they are admitted to the hospital. Services include: Acute & Chronic Illness, Annual Preventative Exams, Obstetric Care, Family Planning, Pediatric Care, Well Child Checks, Minor Procedures, Immunizations & Laboratory Services. Both clinics are staffed with one MD and one PA. They are full spectrum family practices, including in-office procedures. They both do between 60 – 80 deliveries per year. Dr. Katy Sheridan was raised on a dairy farm in Kasilof, Alaska and attended the University of Washington School of Medicine as an Alaska WWAMI E’89 student. She completed residency in Bangor, Maine and returned to Alaska to start her own practice in Soldotna, which gave her an opportunity to be close to the outdoors and practice rural medicine in an area she is familiar with. Dr. Sheridan has remained active in the Alaska WWAMI program over the years, as well as the Alaska Family Medicine Residency. When she is not at her practice, or teaching WWAMI students, or spending time at the hospital with her patients, she thrives on spending time close to home, kayaking, gardening, skiing and spending time with her family. 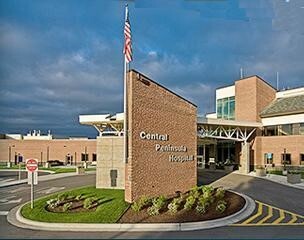 CPH is a 49 bed, full service hospital in Soldotna, Alaska which serves the Central Kenai Peninsula. CPH is a Planetree designated hospital that approaches wellness by including all aspects of healing – mental, emotional, spiritual, social and physical. Hospital facilities and services include all private patient rooms, four surgical suites, dedicated C-section suite, family birth center, 24-hour emergency department, imaging, laboratory, oncology/infusion center, outpatient services and physical therapy. What to Expect: Students will be rotating between two clinics, located within 1 block of each other in Soldotna, Alaska: Upstream Family Medicine, with Dr. Kristen Lee, and Dr. Katy Sheridan’s Family Practice. Students will spend 6 months with the physicians at their practices, as well as doing rounds at Central Peninsula Hospital. Students can expect to do deliveries, and see patients in the Emergency Department, Operating Room, and other areas, depending on their interests. 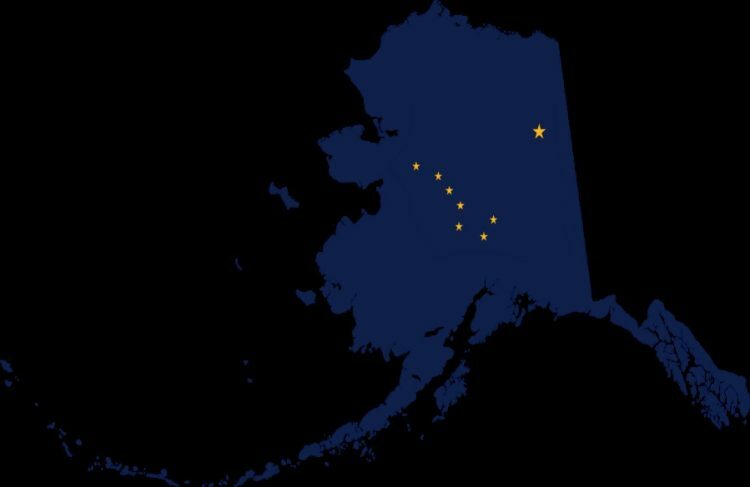 Soldotna is located in the southcentral region of Alaska on the Kenai Peninsula and has an estimated population of just over four thousand residents. The city sits along the famed Kenai River and is known worldwide for fishing and wildlife. Soldotna is located 147 miles south of Anchorage via the Seward & Sterling Highways. After arriving by air in Anchorage there are several airlines that offer flights to Soldotna. The other, more highly recommended is to drive. Soldotna is an approximately 3 hour drive from the port of Anchorage, where student cars are often delivered. The drive to Soldotna takes students down the Seward Highway, along the breathtaking Turnagain Arm, past Girdwood and Portage, up thru the Turnagain Pass to the Sterling Highway, passing the majestic Kenai Lake and River. The drive has been named one of National Geographic’s 50 Ultimate Road Trips. The history of the City of Soldotna begins with homesteading that occurred in the late 1940s, although Native Alaskan Athabaskan peoples had lived and used the areas around the Kenai River for many thousands of years prior to the city’s establishment. After World War II, veterans were given priority in homesteading in this area and settlement began to grow. The construction of the Sterling Highway from Anchorage and the Kenai Spur Highway occurred in the 1950s, resulting in increased settlement in the area. A post office for Soldotna was established in 1949. Oil was discovered at the nearby Swanson River area in 1957, giving the population and economy of the area another major boost. Soldotna’s location at the junction of the Sterling and Kenai Spur Highways resulted in the area becoming a major location for retail trade, services and government on the Kenai Peninsula. In Soldotna, the summers are mild and partly cloudy and the winters are freezing, snowy, and partly cloudy. Over the course of the year, the temperature typically varies from 9°F to 64°F and is rarely below -16°F or above 71°F. Winters are milder than Anchorage, with less snow and frigid temperatures.